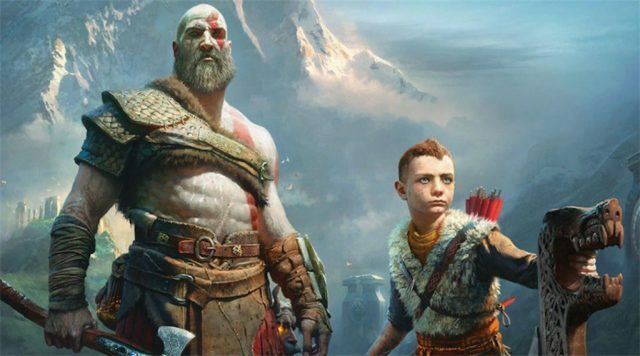 It’s not long now until God of War is released. Kratos will return on April 20th to the PS4. PlayStation shared a tweet along with a short clip of an interview with Cory Barlog (Creative Director) who talked about the inspiration behind the new character customization. God of War is available for pre-order for $59.99 on the PlayStation Store. So what are you waiting for, you literally have 5 days left to get these pre-order bonus and looking at Sony’s track record it is safe to say that this new God of War game will be a good one. 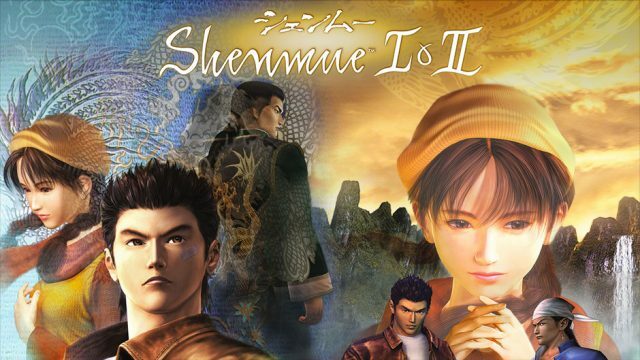 In an unexpected turn of events, Sega has just announced that the much-beloved original Shenmue I & II will be re-released for current generation consoles and PC. This re-release will include upgrades such as enhanced and scalable screen resolution, PC graphics options, better UI and controller and voiceover choices for players. Relive the thrilling voyage across faithful recreations of Japan and Hong Kong, China, in a timeless tale of revenge and mystery when Shenmue I & II launches both physically and digitally on PlayStation 4 and Xbox One with a PC release on Steam in 2018. It has been over 6 months since September 2nd, when the free-to-play Monster Hunter-like Dauntless entered closed beta. They pushed back the open beta to early 2018 and now we have finally gotten word it will be available on May 24th. Players who would like to become a founder only have until May 23rd to purchase those packs while they are still available. About 3/4 of the game’s players have already purchased some form of the founder packs. You do not need to purchase anything to play the game, however. Dauntless is slated for a second-quarter release which means we should see it before June 30th. 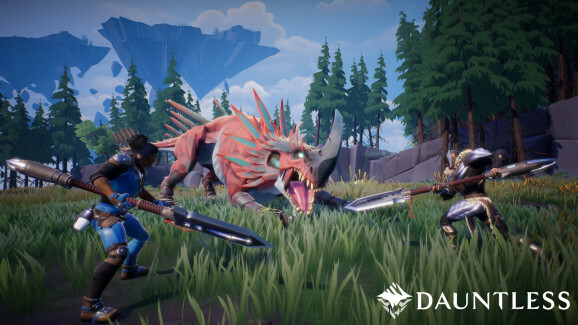 Dauntless is currently exclusively available for play on PC. The Surge has announced a new free DLC called Cutting Edge Pack which is releasing in just a couple days, April 17th, across all platforms: PS4, XBOX One and PC. The Surge announced via Twitter the release of their new DLC will introduce three new armor sets and new weapons. 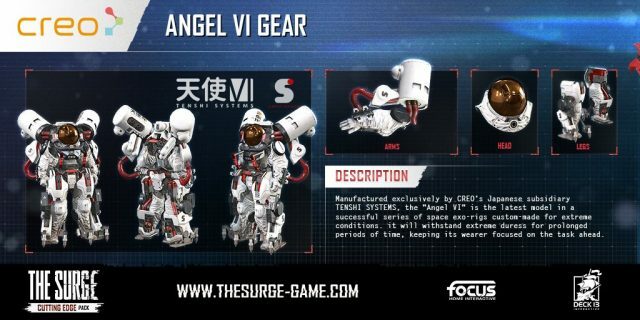 One armor set they shared recently is the custom-made exo-space rig called Angel VI. The Surge 2 is set to be released next year 2019. Official Capcom word on when Monster Hunter World’s Devil May Cry Event is coming out has been posted to twitter. The Rock man cosmetic lines up with the in-game event so if that pattern is consistent, players can see Dante in their games on April 27th. To unlock both Dante’s Armor Set and his Demon Sword, Force Edge, you must complete a quest called “Code Red”. Your objective is to slay a Teostra and 1 more monster that is yet to be named. This quest is an eight-star mission, so you’ll need to be at least Hunter Rank 14 to participate. For the full scope of the Armor and details of the quest, you can check out the article on the blog. Reminder that this set is unique compared to the other events as players can mix and match them. 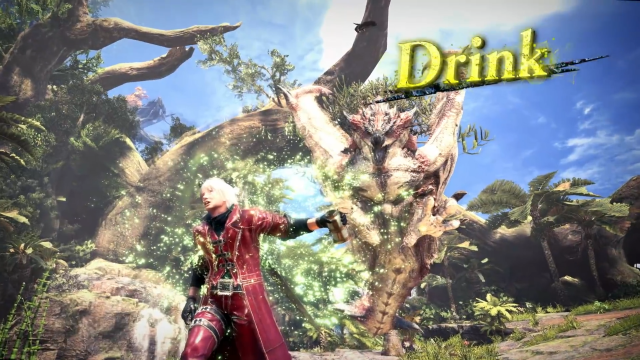 Even though the event weapon is called Dante’s Demon Sword it will be a charge blade weapon. 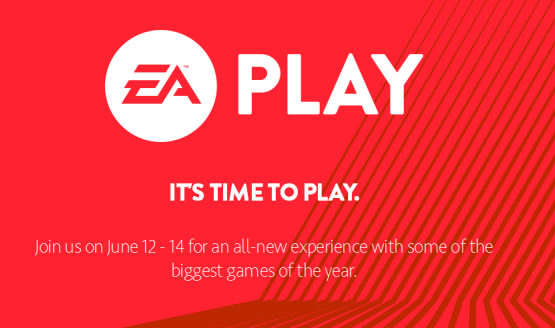 EA will be continuing to be holding their own press events with the EA Play press conference, running from June 9th to June 11th opting to forgo attending E3. EA Play will start at 11 am PDT on June 9th at the Hollywood Palladium, Los Angeles. As in previous years, EA will livestream and provide updates from their event across EA.com, YouTube, Twitter, Facebook, and Instagram throughout the days. The press conference will consist of showcasing gameplay from several games, interviews with developers and much more. Reminder to all living near Hollywood or looking to attend the EA Play event, you can access pre-registration via register.ea.com. Tickets are Free and allows players to have an early chance to play EA’s games. This is good news for those attending E3 because it has only gotten more and more crowed every year, and this should free up some space in the convention center. It won’t be long before more companies are doing this, or E3 will need to find a new home. 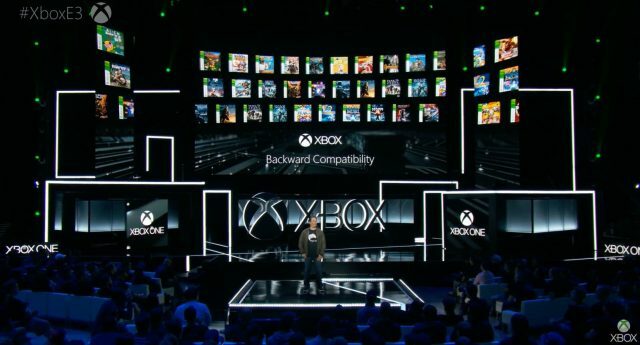 Microsoft revealed the release of some original Xbox games with backward compatibility for Xbox One. The first wave of games will be made available on April 17th digitally through the Xbox store or through a physical copy. A total of 19 games will be released in the month of April 2018. You can check out the blog for the full list of the games. We will keep you updated with future backward compatible releases. Until then check out the latest Xbox releases here. Bungie has announced the name and release date of the next expansion for Destiny 2. 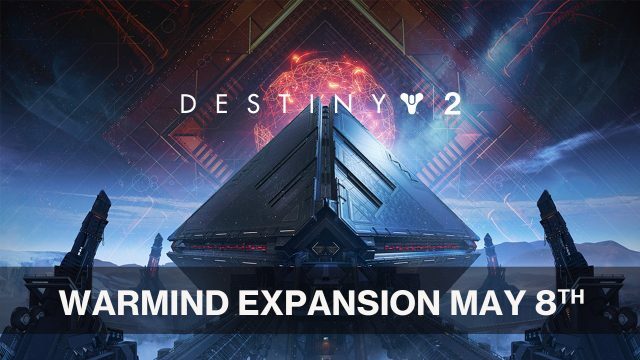 The expansion will be called Warmind and will be available May 8th, 2018. The news was released in a no-thrills manner through their development roadmap. The developer Bungie shared on their website today the outlined roadmap containing the release date of the expansion known as “Warmind” coming out in Season 3. The roadmap also shares details of Crucible Maps which will be made available to everyone via matchmaking. Bungie have yet to release a trailer but more information is coming in their next live stream via their Twitch channel on April 24th which they call their “reveal stream”. So if you wish to catch their stream be sure to follow them so you don’t miss out. Razer the popular gaming hard-ware company has released an online game store, adding another platform for gamers to purchase games digitally. So far the website is in beta meaning the store is not up in it’s entirety. Customers can purchase game keys online via the Razer Game Store currently for platforms Steam and UPlay. By using the store users gain access to discounts through their loyalty, earning loyalty reward credits called “zSilver”. These credits can be put towards purchasing further games or even Razer hardware. “zSilver” are earned by purchasing games with cash or “zGold”. Games currently available include some latest releases such as Farcry 5, Ni no Kuni: II and Warhammer: Vermintide. The site also offers pre-releases such as Vampyr, Pillars of Eternity II and Battletech.